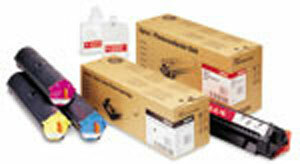 Recycled toner cartridges are an excellent idea - for the sake of the environment and to save money. Millions of toner cartridges are discarded every year, which creates a mountain of non-biodegradable waste. This can provide considerable cost savings for your business, reduce the amount of waste in landfills and conserve non-renewable resources. Clearwave Electronics remanufactured laser toner cartridges are designed to meet the specifications of laser printer manufacturers and will perform just as well as brand new ones while providing significant savings. When a new cartridge is remanufactured, it is disassembled down to its smallest component. Each piece is cleaned and inspected and each drum carefully tested. Replacement parts are added as necessary as the cartridge is reassembled. The cartridge is filled with new toner and repackaged. Unusable parts are recycled and cardboard boxes are recycled to produce new packaging. Clearwave Electronics guarantees that the print quality from our remanufactured cartridges are comparable to that of the original manufacturers. Please contact one of our offices for pricing.